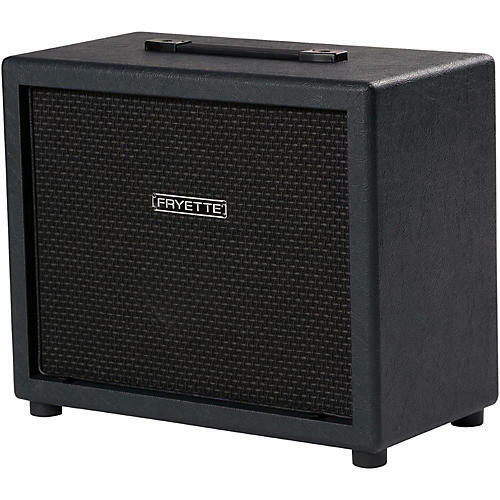 The R112 cabinet features a custom built 12” Fryette AR Seventy-Five speaker, which performs extremely well at both high and low volumes, making it the perfect pairing with the Valvulator® GP/DI. The AR Seventy-Five is specially designed to respond to subtle guitar dynamics, even at bedroom volumes. Coupled with the rear-mount open-back cabinet, the AR Seventy-Five speaker delivers a well-balanced tonal response for home recording with a studio mic or SM57. The versatility of the open-back cabinet design along with the strength and solidity of void-free Baltic birch provide great durability and excellent sustain. Our custom vinyl covering and grille cloth with matching name plate gives the cabinet a classic look perfect for your home studio or any other room. Dimensions: 20 x 10-3/8 x 16 in.